CHECHESMITHNATION : Slay Queen, Bonang Sitting Pretty In Monochrome Get-up! 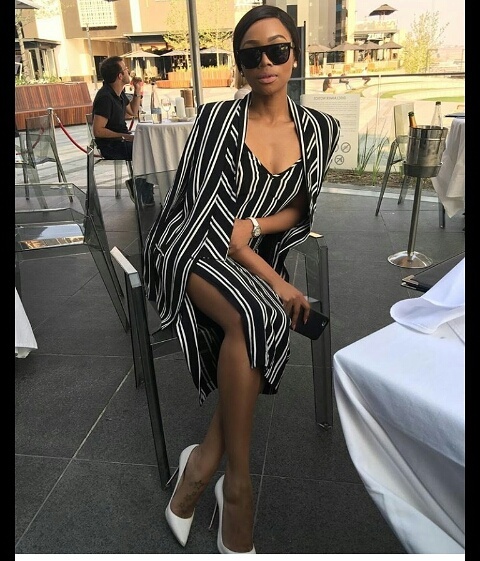 Slay Queen, Bonang Sitting Pretty In Monochrome Get-up! Bonang, looked all pretty clad in striped co-ords teamed with white pumps, while her eyes remain perfectly hidden in those super dark shades.